Children's Commissioner for England Anne Longfield has made 11 recommendations to help better protect children from intra-familial sexual abuse based on the findings of a panel that included Middlesex University Professor of Criminology Julia Davidson (pictured). Its research found that only one in eight children who are sexually abused are identified by professionals because the police and social services are geared towards children self-referring or reporting abuse. Using a statistical model known as Multiple Systems Estimation, the panel estimated that between 400,000 and 450,000 children in England were victims of sexual abuse over the two-year period from April 2012 to March 2014. However, only approximately 50,000 children were known to the authorities over the same time span. 'Protecting children from harm: A critical assessment of child sexual abuse in the family network in England and priorities for action', also reveals that two-thirds (66 per cent) of child sexual abuse takes place within the family or its trusted circle. 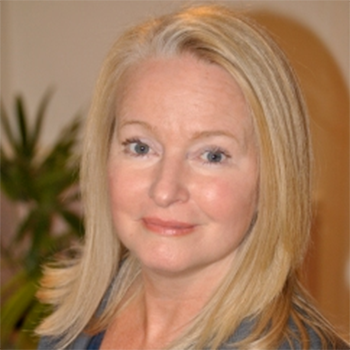 The Office of the Children's Commissioner (OCC) first commissioned Professor Davidson, who is co-director of the Centre for Abuse and Trauma Studies (CATS), and Dr Miranda Horvath from the Department of Psychology at Middlesex to conduct a 'Rapid Evidence Assessment on Intrafamilial Child Sexual Abuse' in 2014, the findings of which led to the establishment of the panel inquiry and formed the basis of its work. "The Rapid Evidence Assessment of the literature undertaken by CATS and Forensic Psychological Services at Middlesex University suggested wide variation in estimated prevalence rates of child sexual abuse," Professor Davidson said. "However, the research and analysis conducted by the OCC panel sheds light for the first time on the gap between prevalence and reporting. This important analysis demonstrates clearly that much more must be done to raise awareness about the impact of abuse and to encourage child victims and adult survivors to come forward. The ongoing provision of appropriate support for child victims during the criminal justice process and beyond is also essential." Among the Commissioner's recommendations are the development of a government strategy to prevent abuse; better relationships education in schools and training for teachers; and a "holistic package of support" for children who report abuse.